Joe Patrice, Chad Burton, Chas Rampenthal, Joshua Lenon, and Laurence Colletti talk about their own experiences using a law degree. In this episode of the ABA Law Student Podcast, host Sandy Gallant-Jones talks with Above the Law Editor Joe Patrice, CuroLegal CEO Chad Burton, LegalZoom General Counsel Chas Rampenthal, Clio Lawyer in Residence Joshua Lenon, and Legal Talk Network Executive Producer Laurence Colletti about alternative careers in law. Joe opens the interview by advising law students to experiment if they are unsure as to what they should do with their practices. Chad reminds young lawyers that they can create their own career alternatives, there are many different ways of getting into existing fields outside of the law, and that graduates don’t have to be lawyers. Chas cautions law students to remember that their peers are going to be the captains of industry and that it is beneficial to treat everyone respectfully, use this time to make connections, and understand that the law is evolving and that you must evolve with it. Josh shares that most lawyers in their first jobs leave outside of five years and that young attorneys should be okay with moving on if their interests change or if they are unhappy with where they are occupationally. Laurence talks about a few of his struggles during law school and encourages students to find ways to be successful in their studies that works well for them. The group discusses their thoughts on how technology and the law will commingle in the future, how law schools can better accommodate and prepare students for emergent technology, and closes the interview with thoughts on how we can make law school a better learning experience for students. Joe Patrice is an editor at Above the Law. For over a decade, he practiced as a litigator at both Cleary, Gottlieb, Steen & Hamilton and Lankler Siffert & Wohl, representing a variety of individuals, institutions, and foreign sovereigns in criminal and civil matters. Then Joe left private practice to concentrate on making snide remarks about other lawyers which is at least as fulfilling as motion practice. Chad Burton is the founder of Burton Law, one of the leading virtual law firm structures. Formerly in a big law firm, he now represents technology-oriented companies from startups to multinational corporations. Additionally, he started CuroLegal, an outsourced practice management company for lawyers. Chas Rampenthal has served as general counsel for LegalZoom since 2003 and as corporate secretary since 2007. Before joining LegalZoom, Chas was a partner at Belanger and Rampenthal, LLC and an associate at Testa, Hurwitz & Thibeault, LLP and Thelen Reid & Priest LLP. He also served as an officer and aviator in the United States Navy. Chas received his B.S. in economics and math studies from Southern Illinois University at Edwardsville and a J.D. from the University of Southern California. 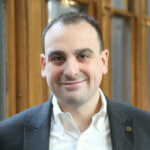 Joshua Lenon is the lawyer in residence at Clio, an intuitive cloud-based legal practice management solution. He can be reached at [email protected]. An attorney admitted to the New York Bar, Joshua brings legal scholarship to the conversations happening both within Clio and with its customers. Laurence Colletti serves as the executive producer at Legal Talk Network where he combines his passion for web-based media with his experience as a lawyer. Previously, he was a solo practitioner and consultant in general business and commercial real estate. Sandy Gallant-Jones: Hello and welcome to another edition of the ABA Law Student Podcast on Legal Talk Network. I am Sandy Gallant. I am the Seventh Circuit Governor with the ABA Law Student Division representing the States of Illinois, Indiana and Wisconsin. I am currently a 2L at Northern Illinois University College of Law in DeKalb. And today we are broadcasting from the ABA Annual 2016 in San Francisco, California, where the crews are working hard here tearing down the equipment, so you might be hearing some background noise. Our show today is sponsored by the American Bar Association Law Student Division. In this monthly podcast we cover topics that are of interest to you, law students and recent graduates. We are going to be talking to you about a variety of issues, from finals to the bar exam and everything in between. We hope this show is a trusted resource for all of our listeners. And when we come back we are going to talk to a five guy panel, who are all J.D.s and who are going to talk about going on a nontraditional career path. Stay with us. Intro: Welcome to the official ABA Law Student Podcast, where we talk about issues that affect law students and recent grads. From finals and graduation to the bar exam and finding a job, this show is your trusted resource for the next big step. You are listening to the Legal Talk Network. Sandy Gallant-Jones: All right, we have got the five guy roundtable, and you heard the names, but let’s go through and introduce everybody. First off, Joe Patrice, tell us who you are. Joe Patrice: Who I am is a — well, that’s a very existential question, I am an Editor at Above the Law, which is your one-stop location for all the embarrassing things lawyers do. I also host a show on this network; you might have heard me throughout this weekend at Thinking Like a Lawyer. Chad Burton: Hi! I am Chad Burton; I am CEO of CuroLegal. We do tech development and consulting for law firms and bar associations. Chas Rampenthal: Chas Rampenthal; I am General Counsel at LegalZoom. Joshua Lenon: I am Joshua Lenon; the Lawyer in Residence at Clio. Laurence Colletti: I am Laurence Colletti, Executive Producer for Legal Talk Network. Sandy Gallant-Jones: Okay, so what are we talking about guys, we are talking about law careers. I know law students, we are all in law school and we are thinking, gosh, one, how do we get through law school; and then the second thought is how do we pass the bar; and then the third thing is, what am I going to do with my life? And what’s really interesting about the five guy roundtable today is that they are doing something a little beyond the practice of law traditionally. So Joe, talk a little first about where did you go to school, how did you start off initially after law school and how did you get to where you are at now. Male Speaker: Fortunately we have three hours. Joe Patrice: Yeah. So I went to NYU School of Law and then — Go Violets; that is actually the mascot, a flower, so I went to NYU and then I worked at Cleary Gottlieb in New York as a litigator. I moved from there after a few years to Lankler Siffert & Wohl, which is a white-collar criminal defense boutique. And after several years of that I looked at my bank account and realized that I didn’t have — I had a miniscule amount of loans left to repay and I didn’t have to do this anymore. So I left the practice of law and started freelance writing, including a column for Above the Law, and then when they needed a full-time person, I joined up. Sandy Gallant-Jones: And now you are also hosting a show on Legal Talk Network, that transition to radio; that had to have been fun. Joe Patrice: It was, because as you well know, the Legal Talk Network pays us handsomely for our time here, it’s like Howard Stern levels of money. But no, it’s great, because I get an opportunity to talk to people and engage and kind of have fun with them directly rather than behind a keyboard all the time. Sandy Gallant-Jones: Chad, tell me a little bit about CuroLegal. Chad Burton: So we are working with bars and law firms across the country to modernize the practice, use new technology and develop new technology. I started practicing as well with the bigger firms and went into the small firm world and started a virtual law firm model that then kind of led into other lawyers asking, how do I do this, how do I start a new business model. And then that’s where Curo came from, which started out as helping others in the consulting side, which then led to the tech development. Sandy Gallant-Jones: And Chas, LegalZoom, we have seen the commercials on the tube. Did you start off originally practicing with clients face to face and making that transition? Chas Rampenthal: So after I got out of USC, Southern California, not South Carolina, for law school, I ended up at Thelen Reid & Priest as a litigator; did that for almost two years and then one day stumbled upon my soul and decided to move over to transactional work. Moved out to Boston with Testa, Hurwitz & Thibeault, did a ton of work really representing a lot of early stage companies. And one day this company just showed up, and it was LegalZoom. I had actually started out doing a little practice on my own where I had a lot of face to face with clients. And I realized that as a sole practitioner or a small law firm lawyer I could interact with a few dozen clients and at LegalZoom I could really help thousands, and actually what ended up being millions of people with their legal needs. Sandy Gallant-Jones: I know one name that is starting to really become more familiar among law schools across the country is Clio. It’s a unique website, and Joshua, tell us a little bit about Clio for folks who are unfamiliar with it. I will tell you personally, I was introduced to Clio through a technology and law class at NIU last year. Joshua Lenon: Thank you. I am glad to hear that our outreach is going really well for law students. So Clio is a cloud-based practice management software. It allows you to manage everything from your firm, from client intake, to invoicing them when the work is done. We help you manage your contact, your case files, and your communications. It’s a neat business, because we have taken the Internet and applied it at scale to help lawyers build a better practice. Sandy Gallant-Jones: And Laurence, you are with Legal Talk Network and you also happen to have a J.D. and your legal career has had some interesting twists and turns as well. Laurence Colletti: Yes, yes it has. So anyway, I moved up to Colorado and I started doing some consulting, and my consulting turned into legal work, so I was doing a lot of business planning and pro formas for different companies, and sometimes that would turn into some legal work. Obviously I passed the bar at Colorado, and then shortly after kind of doing the actual legal practice part of it, recession caught up with me and it was tough getting established, did a lot of doc reviews. I certainly read Above the Law’s commentary on some of the document review projects and can certainly relate, but it was paying the bills for a while and it was tough eking it out. Legal Talk Network was an application I filled out as kind of my last two 07:23 in law. If I didn’t get a job at that point in law I was going to leave and not come back. It was getting a little frustrating being several years out and not being able to practice the way I wanted to, and so I was going to have to start making some choices. And this was kind of in the last round of hoorah during a Christmas break, found this on — it was craigslist, and it was something I initially scrolled by, and it was one of those — kind of like second catch moments, like wait a minute, that was pretty interesting, opened it up, read it, filled it out, the rest is history. Joshua Lenon: Did they try and make you meet in an alley for craigslist as part of the interview process? Male Speaker: The job description is out of the trunk of his car. Laurence Colletti: So no, but those who are familiar with Denver, the interview is certainly in five points and so that’s got a checkered history, but now it is part of a — it’s a renovated district called the RiNo Arts District. So a lot of marijuana establishments there and breweries and software developers, which happens to work out for us. 08:20 Male Speaker: All three of those go together really well. Sandy Gallant-Jones: So what I really like about all five of our guests today is that they have taken their Juris Doctorate and they have gone beyond the courtroom and they have really molded their own path. And they have done something really fun and unique. And I guess that’s the point that in talking with our law students today, our listeners, how would you like law students to really imagine their futures beyond the courtroom? Joe Patrice: No, I mean indebted, I don’t know. Well, my personal advice that I give people all the time is, if you don’t know what you want to do with your practice going forward, you should do some experimenting. I always feel like — I enjoyed litigation, but I feel like I fell into it largely because I had seen Perry Mason and I understood that’s what lawyers do and I don’t know. Meanwhile, since leaving — as my career evolved I talked to transactional lawyers, I was like, oh, I would have been much better at this 09:27 than I do what I did. So find out, meet more people, try new things, that’s the stuff that I would say. Chad Burton: I mean, part of the difference between 2016 and even 10, 15 years ago, it used to be a law school where — I remember a case where I went they talked about the — you don’t have to be a practicing lawyer, but it was kind of like they are patting you on the head saying, the bottom third of the class needs to go somewhere. So not everybody has to be a lawyer, but now it’s — I mean, five examples here are very different, kind of non-practicing roles, there are just so many different ways of jumping into existing alternatives or to create your own, be creative with it. Chas Rampenthal: And I think that’s really good advice. When I talk with law students, I do so quite a bit, other than saying number one rule is just don’t be a jerk during law school. The people that you meet every single day are going to be end up being the captains of industry. They are going to be the people that are out there looking for lawyers, just like you, or possibly wanting to serve you as an entrepreneur. The next would be that if you can enter into the traditional practice, that’s fine and that’s something that’s great. The traditional practice is not a bad practice; it’s just evolving a little bit, and you should learn to evolve with it. But if you don’t want to enter the traditional practice you should really find a problem that needs solving and solve it. And I have heard everyone from Dan Lear at Avvo to others say, find a problem, solve it, you are good to make yourself indispensable to the consumer that you are out there helping. Joshua Lenon: I think one thing that’s very interesting is career services don’t tell you a lot of the longitudinal stats when it comes to a legal career. Like, for example, most lawyers in their first role leave inside of five years, they don’t stick around, and that’s not a bad thing. The industry is evolving and people evolve as they exist in it. So don’t feel like your first job out of law school is your only job. It’s going to be a great place to learn some skills, it’s going to be a great place to learn more about yourself, it’s going to be a great place to help people, but it doesn’t necessarily mean that’s the only place you are going to be, and you should be okay with, if you are interested in something else or unhappy with where you are, taking a look for something new. Sandy Gallant-Jones: I love that you guys are all speaking passionately about this. You have obviously got a fire that really drives you in wanting to do a great job with the jobs that you have. I am curious how all of you were in law school. How would you describe yourself as a law student? Chas Rampenthal: I will jump in on that. I was weirdly collaborative. So I remember one time a classmate was having trouble in class and I just loaned her my little study guide, and she looked at me like I had two heads, like why would you do that, and I honestly believe that if you can find a win-win solution, that is the best solution, and that’s the place we need to start from. Chad Burton: Oddly enough, I feel like a few times I have been described by others as affable. I did look it up and found out it wasn’t bad, so that made me happy. Look, I feel that you have such a limited amount of time to make really great colleagues and friends that you should be doing it anywhere you possibly can, and the advice that I gave earlier has come to fruition for me. If I take a look at the jobs that I have gotten after law school, most of them have come from either knowing somebody or being nice to somebody that I was either in law school with or affiliated through the law school with, and that doesn’t happen for everybody who is a bit of a shut in and who doesn’t want to get out and show that they are the kind of person that is employable and engaged and energetic. Laurence Colletti: I totally would have thought you would have been the guy that like hides the books. I have learned something tonight. Chad Burton: Wait a minute, there were books in school? Male Speaker: So you are the bottom third, all right, that’s fine. Laurence Colletti: I think I was probably just like a normal student. I don’t know. I am trying to think what I was like. I mean, I remember like — probably every couple of months I remember that first exam I took, and it was criminal law that I was convinced that I failed it, and I didn’t obviously, because I am great, just kidding. Laurence Colletti: And modest, yeah. But no, it’s one of those things where, I just remember the fear of not doing well and just needing — and that kind of drove everything, and then I went to the bar and then I kept going from there. Joe Patrice: I think there are a few trends that I am hearing, like I also was somewhat collaborative, although I felt like NYU largely was; a lot of us were handing things to each other. There was no real book hiding or anything like that. And I was also — I would say I was very affable, like I was much happier at the bar than studying the bar. Everybody on Thursday nights, the class was on, everybody was out. Sandy Gallant-Jones: Hey, that’s when we have our bar reviews too. Joe Patrice: Yeah. I mean, it was a much more, go out, meet people, have fun. I didn’t worry a ton. I mean, obviously you worry right around exam time, but I was also — you are there, meet people, learn a few things. I was kind of laidback about it. Laurence Colletti: I worked hard and I played hard. I think I had a very good experience with it. I was just involved as I could be, and I didn’t hold anything back, and it certainly was a challenge. It was one of the more difficult things in my life, because I was not a natural student for law school and so I had to find new ways to break through my weaknesses. Sandy Gallant-Jones: There is always going to be a need in the legal field for litigators and for mediators, but I am curious how, if you guys could look into your own crystal balls, how do you foresee technology and the law really commingling in the future? Chas Rampenthal: Look, technology and law, the interesting thing about law and technology is a lot of people take a look and they say, we need to create some new technologies so law can be practiced better. And I just tell people, we need to do a better job of using existing technology to make law better, and a lot of that has to do with the rules and the regulations and how we as lawyers have set up the sandbox that we play in, and if we can broaden it up a little bit, open it up a little bit, things like advertising and online media, taking a look at collaborating with people who are outside of the traditional legal profession, I guess I have to say that, and really looking at new ways to practice, not just to satisfy the need we have as lawyers, but to satisfy the needs they have as consumers. And if we can start opening up and doing that, we will find that technology will just kind of happen. It will just kind of flow in naturally in the way it’s done in another industries. Sandy Gallant-Jones: Joshua from Clio. Joshua Lenon: So I think technology enables lawyers to be better, I am a little biased that way, but I think there are other careers outside of being a traditional lawyer and using technology. We are going to start seeing law embedded more and more into the devices and the tools that we use. An example may be that if you are an Uber driver, your car can just no longer speed anymore. The computer will just tell it not to. And we need lawyers and technologists to both embed those laws, write those laws and update those laws as technology progresses. Male Speaker: If Uber couldn’t speed I would not have made it to this. Joshua Lenon: That might change. Male Speaker: Speeding in San Francisco is like 14 miles an hour though. Joshua Lenon: New York at 3 a.m., it was actually pretty fast. Sandy Gallant-Jones: What do you think, Chad? Chad Burton: Three of us just came from the ABA Commission on the Future of Legal Services presentation of their report and recommendations, and part of the work of that Commission looked at the role of technology, and it’s dead on from what Chas is saying and what Joshua is saying as well, where it’s going to play a huge role. It’s going to help in a lot of different ways. And do we have to create technology just to create technology, no, but we have to be solving real problems. And so there is a lot of good stuff out there that could be better, so let’s take what we are doing. That was a theme of the recommendations, right, it was not — the recommendations weren’t all, here is the new stuff we have to do to survive; it was, let’s take what we are doing now, and a first step is just doing that better and that means using technology better. Sandy Gallant-Jones: Okay. So how could law schools really accommodate the change that is occurring in technology and the law in terms of really crafting their curriculum? Chad Burton: So I teach the Law Practice Management course at the University of Dayton’s Law School. So these are mostly 3Ls, who second semester, third year, about to go out and practice, and a lot of Dayton students start their own practice or they go into small practices and they are going to be the ones that are responsible for helping to modernize that firm. And on day one I question them, what have they used, and have you ever used Google Drive, so start like super basic, and most of them say no, which is fascinating, because the University uses Google for work for the education part, they all have it, and they don’t know about it. The one thing actually that most of — if there’s going to be a technology that they know about it’s usually Clio, because Clio, as far as more modern tools, because it’s in the clinics. And so the way that this can be done — so that’s third year, that’s usually about 15-25 students that take this class, and that’s the only one that’s offered like this in the school. So they are going to be the only ones exposed to 13 weeks of, here’s where the technology is, here’s what a modern practice looks like. I have been an advocate that you have to start, and law schools are doing this, there is probably about a dozen or so that are doing this well that start the first year and really start indoctrinating what modern practices look like. So it just has to be — it can’t be a two hour elective at the end if you think you might be starting a practice. Like no, this applies to everybody and it has to start on really day one. Male Speaker: And I guess I can do my best channeling of Ron Staudt from Chicago-Kent, who said, law students are inherently conservative, and that doesn’t mean socially, it means in the way that they approach their legal education. If you have an option of taking some class in your third year called, let’s say, it’s like a deep analysis of indemnification clauses or alternative ways to provide legal services, you are all going to flock to the one that you think might get you that best traditional legal job and really understand deeply the horrific indemnification clause. That is just something that we have been kind of beaten-down to do, and I think that the law schools who are really, really challenging and making students understand and be aware of innovation are the ones that are telling them, hey, it’s okay, it’s okay to take a clinic. It’s okay to think this way versus that way. It’s okay to understand maybe coding or understand how to build an application versus just learning the rote law and a way of issue spotting problems. And I have discussed this with several educators, and even Dean’s, is that we need to do a better job I think as lawyers and as education of teaching people to be problem solvers instead of problem creators. I ask people, when was the last time you gave a law school test and the answer was seven, or guilty, never, because what you want people to do is find problems, and as the legal profession has put that out to the public, they view us as people who create more problems. They come to us with one and they get 20 back, because that’s how we show our value, and we need to be doing a better job of answering their question and solving their problem first before we start tackling all the other ones that they don’t even know about. Joshua Lenon: I want to jump on the education of technology because Clio does participate in close to 200 law schools on this, and while I am really proud of that, I don’t think law students should focus on any one particular technology brand, but instead take that same analytical reasoning that you are being taught in reading case law and issue spotting and applying it to the technology. If you see a great feature in a non-legal piece of technology, you should be asking yourself, why don’t I have that in my legal technology? And it’s probably there, one of the more frustrating things about being a legal technologist is, you build a great tool and maybe 30% of lawyers use the entire feature set. They tend to buy it and they use the one thing they needed at the time they bought it, and that’s it. So don’t rush out feeling like you have to learn every new piece of technology out there, instead learn how to adapt to the technology you have and ask questions about it and be analytical about it, and that will serve you better as both a lawyer or in these alternative legal careers throughout your entire life. Joe Patrice: There is — just real quick on a point you made about the professors and all, in that there is a professor from I think University of Alabama Law School who wrote a piece a couple of years ago about what we really need are more — rather than clinics, which are great, but fewer people do it, more professors need to be going out, doing sabbaticals and practicing, because when they go out and find out this is what practice looks like now and not what happened 30 years ago, they start understanding, oh, this is how I need to orient my questions. Sandy Gallant-Jones: Yeah, which is going to — that’s a great way of segueing into what my next question was and that is, do you think law schools are doing enough to make their students practice ready the moment they graduate? Chas Rampenthal: That’s really not how we have set it up. I mean, that’s not the sandbox that we set up for them. We set up a sandbox to learn critical thinking, not to actually practice law. I mean, you take a look across the pond in England, you have to — before you can actually hang a shingle, you have to have two years of experience, under a qualified — to get a practicing certificate. These are places where here in the United States, if you really thought you could do it under, I guess it’s Rule 1.1 of Competence, you could go out the day after you practice department and represent someone in a capital murder case, and everyone knows there is no way I would do that, but the fact is, is that’s how we have set up our own system. We believe that licensure must equal quality, wherein most places driving and doctors, that’s not just the case; it’s actually the opposite, it’s experience and not licensure. Sandy Gallant-Jones: Right, they had residencies. Chad. Chas Rampenthal: That will be the only time you ever hear him say that. Chad Burton: No, that’s right, are they doing enough, no, no one is doing enough, in regards to if we are talking about private lawyers, bar associations, law schools, no, no one is doing enough. We have so much room to grow. Yeah, so I agree with Chas. Sandy Gallant-Jones: Okay. So how do we make it a better learning experience then for law students, is it a matter of collaborating with bar associations, state bar associations, the ABA, as well as outside companies, like your own, or do you somehow try to reconfigure and appreciate the doctrinal instruction in law school, but also create an hybrid aspect of law school? Chad Burton: I think it’s a good place for where accrediting can play a role. Some input I learned from like my other graduate education, my MBA, was that a lot of us came in from accredited schools, but not every accredited school was equal, and so they would evaluate you when you came in to see what you were bringing from your undergraduate degree and they would evaluate how long it would take you to get through your MBA program. And, if you went to a pretty high caliber school you could automatically test out of some things, but they also had not a remedial program, but they would add to your duration. This is where accrediting could play a role. If you are in an accredited school, you have to have perhaps a certain technology, proficiency, and perhaps you have to have certain clinical requirements of your students before they graduate, and I think it’s a great place to sort of equalize the playing field there and I think that might be one place that the universities can focus. Joe Patrice: The Department of Education has a few things to say about accrediting law schools, and they just did. Male Speaker: I think that that’s really high level and I think what the listeners might be more interested in and it’s what they can do as law students to improve their legal education. Male Speaker: And the answer is, don’t wait for the law school. Beg, borrow, and steal whatever experience you can get at a law firm from day one, and I also think you should not necessarily look at limiting yourself to the law school’s curriculum. One of the things that I wish I had done more in the law school, was take more Stats classes, which were totally outside of the law school’s curriculum, but I think alternative legal careers actually rely a lot on not just critical lawyer skills, but also critical analytical and reasoning skills that exist outside of law. And so, if you think the traditional practice of law is not your ultimate end goal, and I’m talking like years out at law school, grab some extra education while you can now. It’s the best time to do it. Chas Rampenthal: So I am going to go for a hopefully most controversial statement in this, and I would say that we as lawyers and when we study and when we look at the traditional model, the partnership model of law where only lawyers can own a piece of equity, only lawyers have a seat at the table, we have this idea that as lawyers we need to learn to be technologists, we need to learn to be accountants, we need to learn to be design, we need to learn process management, we need to learn technology. And the fact is that when I went to law school at USC and I would step out on the kind of porch of it, I would look and I would see the business school, I would see the School of Design, I would see the School of Engineering, and I would say, that’s funny, none of them force their people to learn law, so why do I feel as a lawyer I am being forced to learn what they do, and what we need to do is to get law students comfortable to look outside the profession of law for people who are truly experts in design, truly experts in process improvement, truly experts in efficiency and marketing and caring for the customer in a way that when you look at someone as a client I think that’s someone who needs something from me. When I look at a customer I need something from them, I need their loyalty, I need their faith, I need their trust, and it’s just another way of looking at the legal problem and thinking that it’s not just me and my fellow lawyers that can solve it. It’s other people in other professions that need a seat at the table. Sandy Gallant-Jones: Yeah, that type of relationship is not tight in law school, it really isn’t. Laurence Colletti: Something earlier we mentioned the role of Bar Associations. So that’s a big focus of my, I mentioned initiative earlier and I have barfed up some blog posts on this multiple times. Sandy Gallant-Jones: That’s how I work on my exams actually. Sandy Gallant-Jones: Right, yeah, but I take rest. Male Speaker: So I think where the magic is going to happen, and we have got three groups that are somewhat adverse to each other; you have got the law schools, Bar Associations and let’s say legal tech as a label, and everybody is trying to figure out how do you play nicely together, and the Bar Association role now, and I think I know that Bars are trying to make a good effort at changing this, but the traditional way that Bars have been interacting with law schools is, you put up a table with free pizza and your application would say, look, you can be a free member and then for the next three years you’re going to get e-mails and have no idea like really what it means to be part of the Bar. So the kind of like what I was talking about what needs to start on day one, I think during orientation the law schools and Bars need to have such a deep relationship and the involvement where Bars need to be in the life of that law student, not just random e-mail they get, because — so let’s say, as law schools figure out how to prepare lawyers there is not a handoff right now that’s really good between law school and Bar Associations. So I remember during my orientation the first week at my firm, they said, you’re going to join your local estate in the ABA. We are going to pay for it. Now those times have changed, and the behavior of new lawyers has changed, and that the natural tendency to join the Bars if they are voluntary, it just doesn’t happen as much, because they are trying to figure out value. And so, if you have the law schools and Bars kind of working together on day one, during law school orientation and the Bars are showing, hey, once you get out of school here is how we’re going to help you be a better lawyer. Here are the people that are going to be those that refer work to you or these are the people they are going to hire you for jobs. You are trying to figure out how to get a job. Well, the humans that are going to hire you were the same was at the Bar, but you don’t have that kind of interaction and that law school class I mentioned earlier, one of the requirements that they have is they have to join the day in Bar Association and they have to participate in two meaningful events throughout the semester. It is the most controversial require – I make them write this giant business plan of coming up with a law school or law firm models. Male Speaker: Do they get like free participation too? Male Speaker: Like it costs them nothing but like two evenings of their lives and this is controversial? Male Speaker: And they complain about it is so much, I have had students like makeup attendance at events, it’s like it’s crazy that you think I’d be like forcing them and then they have to do write-ups on these events and oftentimes a write-up is, wow, that was so much more beneficial because I talked with this judge and this lawyer and they said they’d help me out with this, and oh, no kidding, that’s why you’re required to do, go to a happy hour, you’re welcome for your assignment. So to try to get that engagement and part of the problem is on the law school side too because the professors aren’t involved for the most part and they haven’t practiced in a long time. So we need to get the law schools involved too in the Bars. So I think that’s where a nice handoff will happen over time, but that’s not easy, that’s change in behavior for both types of institutional situations. Sandy Gallant-Jones: All right. Let’s have some fun. Let’s harken back to law school, okay? And, I am curious if you guys remember the first time you were cold called by a professor and what that experience was like? Joe Patrice: First, no, I don’t, but favorite time, I was cold called that I can think of was I had Professor Linda Silberman, very difficult pro professor, the hardest one, and she had written her own textbook but it was in draft form. She encouraged everybody to always find typos and like mark them in letter no later because she is working on it, and the class is going on. It was International Shoe, so middle of the semester. Third semester, I’m going along and there is a goddamn typo in it. So I started like going like this and then I just hear the trace and she usually repeats the question and she just chose not to. So l like looked up because I waiting for the repeat and then it didn’t happen and I just stared at her and I am like, I’m sorry, I am fixing an error in the book. She said you’re not helping yourself. Then she repeated it, I got it right. Male Speaker: There you go. Sandy Gallant-Jones: Okay, what about Chas? Chas Rampenthal: So I don’t know if I really remember the first time, I remember the most memorable one. I was a little bit older of a law student. I was in my late 20s. I had been a Navy pilot for about eight years before, and Greg Keating who was a professor in our torts class, we were studying a case about a Navy shipyard where a bunch of sailors after going out and getting really hammered, walked back on their ship and they turned a valve in the dry dock that actually tilted the ship over and sank it and he looked at me and he goes, Chas, you were a drunken sailor so you probably know what’s going on here. And I literally thought I was going to die, and he totally had me packed. So it was one of those things where you are just like thanks for calling out everything that I just didn’t want anyone to know about me. Joshua Lenon: So I doubled up on classes, I took like summer classes as well as I was a law clerk with the Missouri Attorney General. So one day I had employment law class and I was actually at the Attorney General’s like writing recent stuff and did not do the reading for the class. Joshua Lenon: So of course I was immediately called to like sum up the case, say what you thought about it, right or wrong, and I flipped the coin, I said, this one was wrong, and the professor immediately started grilling me for like the next 15 minutes on this case, so I am like frantically reading ahead, I am attempting to like come up with the reasoning for this position that I had just made up out of no point, and at the end of the class he calls me up and he goes, actually you argued that really well. I was the clerk for the judge on that opinion and you’ve convinced me, we were wrong. Male Speaker: The closest thing to practicing law in real-life happened by the way. Joshua Lenon: So don’t be afraid to stand by your guns when you are called. The worst thing that can happen is you can impress your professor and always look up your professor’s bios on like day one of the class so you will not make that mistake ever again. Sandy Gallant-Jones: Oh, that’s a great tip. What about you, Chad? Chad Burton: I can’t — I have been thinking. I don’t really have any good memories of being called on. I just remember everybody else because it would be like after class you are like, oh, did you hear Joe’s answer? What an idiot? And like that won’t be me, and that’s what I remember. Male Speaker: This is why he is such a good friend. Male Speaker: There you go, yeah. Sandy Gallant-Jones: Yeah. Laurence, what about you? Laurence Colletti: Oh yeah, I am kind of with Chad, I don’t remember. I don’t remember too much about the details. I was kind of in a stupor of being tired all the time, staying up late, studying, but I do remember one time, I come in kind of late class and I think I am trying to remember the professor, it was Contracts and I sat down and I think 35:21 at the door which was great, but then I made the mistake of opening my laptop which left my MP3 player on and it started blaring techno music in the middle of the lecture and I had to get up and leave. Male Speaker: Oh that is perfect, techno music, that is a good fact to know about right now. That is excellent. Sandy Gallant-Jones: All right, so we have a lot of, one else, new law students tuning in, of course more experienced law students. What are some things you wish you had known before you started law school that could have helped you be more successful academically as a law student? Joe Patrice: I actually came in I had no one else in my family who is a lawyer, so I had no one even to talk to. So that was one problem. I always felt that the other people in my class, and thankfully, NYU was very collaborative so people would help me, but I felt like the students who headed least some family member, family friend whatever, they had at least spoken to about law school always had a leg up. So if you can’t find somebody, find friends who might know people, who know people and just at least have a sense of what you’re going into. Male Speaker: Yeah, I think that’s good, as the same, pretty much the same way, I didn’t really have a lot of family or maybe even any family that’s close that were lawyers, so it was all kind of new and my roommate from undergrad and I went to law school together and we lived together in Law School and he was in the same situation so we were both completely blind on it, which is a horrible situation. I have two people feeding problems to one another about how bad this is going to go. Yeah, I think having somebody is not a bad idea. Chas Rampenthal: So I think you just can’t it too seriously, at the end of the day it’s still just school and I know it’s an important school and I know it might seem like the most important thing in your life right now. But back in the day a drill instructor told me once, you should only focus on the things that are going to keep the sun from coming up the next day, and not worry too much about all the other things that are out there. And when I talked to law students about this, I tell people to work hard and everyone wants to work hard, but don’t think people don’t really tell you is that it’s okay not to be the number one student. There are so many people on law school who have just been so driven and been so successful in every aspect of their life, whether it was being pride student in kindergarten, to be a valedictorian of their class and they get this idea, they don’t really realize that they are going to be lumped in with the valedictorian of everyone else’s class, and some of the people who were the best at the best of what they’ve done and when they come out in like the 30% mark and they freak out and think, oh, well, I am just a failure, I might as well go pull shots at Starbucks, which by the way is an awesome job, but when they think that way they give up almost. It’s like a little part of their soul dies, when they realize they are not going to be that astronaut or pilots. You know what, not everyone is going to be the managing partner of the largest law firm in the world. It’s like not every basketball player is going to be Lebron James. Some people have a role to play that doesn’t have to be the very best of acts, and if you get into your mind to strive for it but then accept where you are and continue to try and better yourself, you are going to be a lot happier as a human being because all the people that sit and regret, man, that’s just a really dark place to be in life. So it’s really just about focusing on what you’ve got and where you can go and not focus on what you didn’t get, and what you’re never going to get it. Male Speaker: Isn’t that probably like create mediocrity though? And I mean that. Yeah, I know, there are certain people who have certain roles but it just seems like you are encouraging that some people are not going to try as hard as others, but from like an employer’s perspective even if you’re not going to end up on top I want that drive. Everyone is going to be number one. Chas Rampenthal: No, no, you got to have the drive. Male Speaker: But then kind of what you are saying is like, well, if you know you are not going to be great, then you don’t have to try — like just relax, it’s cool. Chas Rampenthal: I think it’s all about what the definition of “great” is, and I am just saying that if the only way you feel like you can be great as a basketball player is to be Lebron James and you’re not setting your sights at the right spot of what great means. Great means helping other people, great means solving amazing problems that other people haven’t been able to solve, and it doesn’t mean that you have to be looked at from inside the profession is great, you can be looked at from people outside the profession, your clients, your customers and they can think you’re great and that should be more important to you than what a law professor or what a colleague thinks of you. Sandy Gallant-Jones: And great could also mean just being willing to be there for your fellow classmate. Male Speaker: That’s okay if you guys are wrong, that’s fine. It’s okay, it’s all right to be wrong. As long as you accept it, it’s cool. So if you want to accept that you are wrong, Chas, that’s fine. Sandy Gallant-Jones: Boy, can you tell these guys are lawyers? Okay, Joshua? Joshua Lenon: Law school grading is set up to have 90% of every class just be at the bottom. The curve is a real thing and most law students never experienced that prior to law school. So it is a big shock, like Chas was talking about, where you may do awesome on the exam and you might still get a B, and that’s just because of a curb, and it’s not your fault at all. So one of the things that you will have to learn in law school is bouncing back, and it’s actually a great skill that will carry you very far past law school. So when the first bad grade happens, and everybody has one in law school, you need to look at it as the opportunity to learn the skill to bounce back. Male Speaker: I think one of the things that’s important when you go to law schools, we are all professionals when we get out and we are going to be eking out our career and I just think that it’s a great time to meet some really terrific people in your life. So you are in there and you are going through miserable experiences together, miserable experiences often forge, bridges a friendship. And so I think one of the thing I think is good to keep in mind is that law school students like to argue, and I have noticed lately that people tend to argue and take things personally, and I think it’s okay just to disagree. I agree to disagree. We are not going to agree on this one point, so don’t take it personally, and it’s a three-year adventure, so be excellent to each other. Male Speaker: Oh nice. Oh. Sandy Gallant-Jones: Nice, nice, nice. All right, any last parting words of wisdom from the five-guy roundtable? Joe Patrice: I will take advantage of this last words to, maybe not wisdom, but it is true that, we kind of flagged this earlier, that it is a five-guy roundtable, which is problematic, it makes it seem like the only way to get out of practice is to be a man, and that’s not really true. I would just say that at Above The Law, for instance, I am the only White guy there. There are paths to alternative careers that are more diverse than I am representing by happening to be here. Male Speaker: Let’s be clear, this was put together based on five suckers that would show up. Male Speaker: During Happy Hour. Male Speaker: During Happy Hour, while this place is being torn down literally. Sandy Gallant-Jones: And willing to talk to the law student. I appreciate that. Chas Rampenthal: The only advice I ever got that I thought was great was from a flight instructor, and he just told me to keep the pointy end forward, the dirty side down and make all your landings the same numbers as your takeoffs, and I think that that kind of — I think that kind of really rolls forward into law. Just look at the basics and the rest of it is going to take care of itself. Joshua Lenon: Most of what we are exposed to is either an episode of ‘Suits’ on what the practice of law is like, and it’s not like that at all, or the people who have kind of stuck it out, and there are some really interesting stats about there about the kind of alternative careers. Like for example, there are more Gen X GCs than there are Gen X partners at big law firms. And so don’t just look at the stereotypes and the bad TV, there are really awesome opportunities out there. Go find what you like and what you are passionate about and make that your career and you will be so much happier as a law student and as a lawyer for the rest of your life. Male Speaker: Yeah, I think Josh took a little of my thunder there, but I think it’s important to pick what you are passionate about, because you will find a way inevitably to be good at it. And I think that recently I have discovered that also. And so I guess the only other thing I would add on to that is to be involved while you are there, make sure you get the full exposure, you are there once. And yes, you are going to be tired, but it’s okay to stay up late and be tired, just get the most out of it while you can. Sandy Gallant-Jones: One last question, guys, for our listeners who want to follow up with you, how can they reach out to you? Joe Patrice: HYPERLINK “[email protected]” [email protected] or the Twitter, which is @JosephPatrice. Chad Burton: We will just do Twitter for me, because my email is not that simple, it’s @chadeburton or Chadé as Laurence likes to refer to me as. Chas Rampenthal: My Twitter is @Chasramp. I am also at HYPERLINK “[email protected]” [email protected]. If you have complaints send them to Dan Lear at Avvo. Joshua Lenon: The best way to get a hold of me is always Twitter, and it’s @JoshuaLenon, and that’s one n in the middle; most people spell it like the Beatles, and I am a little closer to the dictator. Laurence Colletti: They can find me on Twitter at @LaurenceEsq and HYPERLINK “http://[email protected]” [email protected]. Sandy Gallant-Jones: Okay, Joe, Chad, Chas, Joshua and Laurence; guys, thanks so much for joining me today. And thank you all for joining us. We hope you have enjoyed another episode of our podcast and we would like to encourage you to subscribe to the ABA Law Student Podcast on iTunes and take a moment to rate and review us as well. You can also reach us on Twitter at @abalsd, using the #lawstudentpodcast. We want to hear what is on your mind. I am Sandy Gallant at @sandygallant on Twitter and we want to thank you for listening to the ABA Law Student Podcast. Stay tuned, expect more, and until next time podcasters, study hard. Outro: If you would like more information about what you have heard today, please visit HYPERLINK “http://www.legaltalknetwork.com/”legaltalknetwork.com. Subscribe via iTunes and RSS, find us on Twitter and Facebook, or download our free Legal Talk Network App in Google Play and iTunes. Remember, US Law Students at ABA-accredited schools can join the ABA for free. Join now at HYPERLINK “http://www.americanbar.org/lawstudent”americanbar.org/lawstudent.